Available fields Please note, this plugin offers these fields only as it's a contact form plugin and not an all-in-one "form builder" plugin like NinjaForms for example. 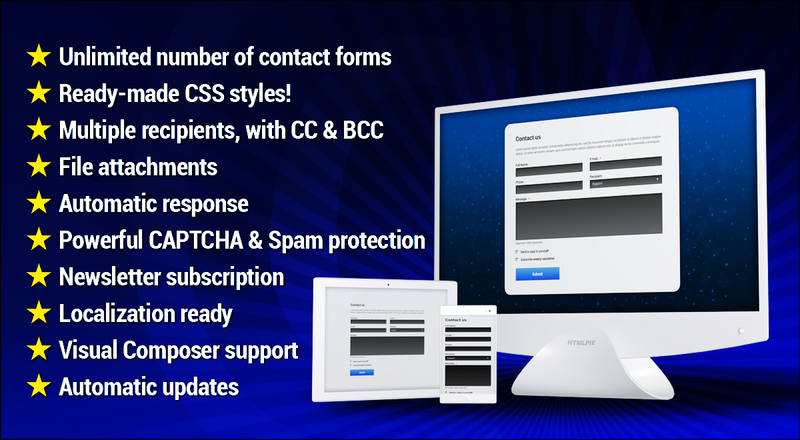 Screencast 1: Ready-made contact forms in 2 seconds! Screencast 2: No coding required! Just point and click! Screencast 5: Customize and translate everything! Would you like a WordPress theme with that?